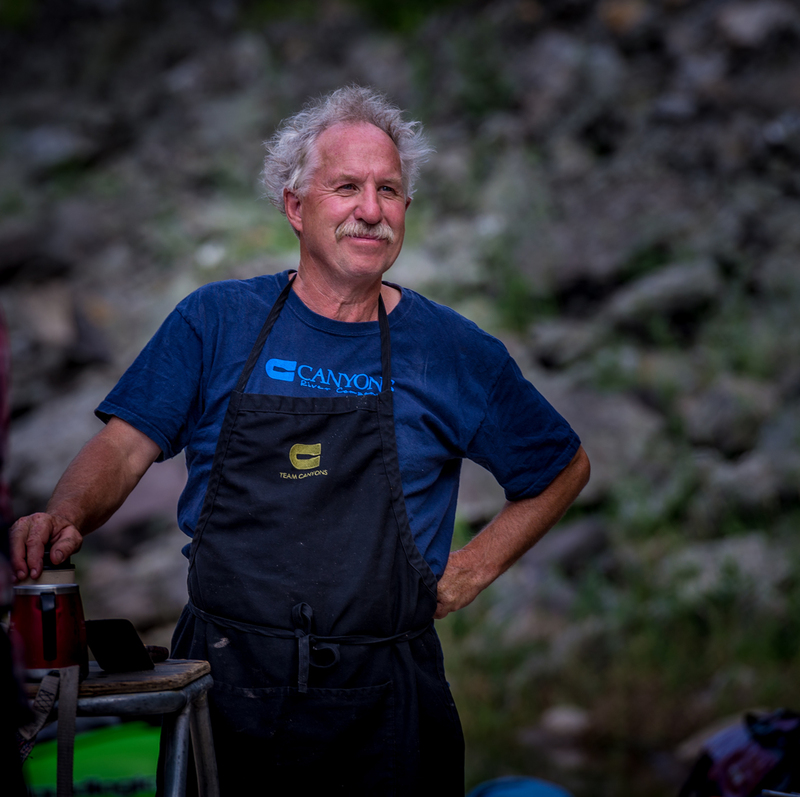 Tim brings much to the table at TEAM CANYONS, with a myriad of talents, a twinkle in his eye, and a sense of playfulness that makes you feel like you have just met an old friend. Born and raised in Chile, Tim is fluent in Spanish and English. Tim discovered river guiding in 1980 through the Nantahala Outdoor Center (NOC). He also graduated from the University of Utah with an Architecture degree. Using both of these skills, Tim worked for NOC for 20 years. In 1994 Tim won a free trip on the Middle Fork of the Salmon with Canyons. Tim fit in with the crew immediately and was promptly offered a job guiding with Canyons. Since then he has delighted us and many a guest with his fun-loving demeanor and passion for life on the river. When not running rivers with Canyons in Idaho, Tim lives in North Carolina with his lovely wife Amy and their furry friends and continues to design and build custom homes.